Height: 14.3 Hands Weight: 1,000 Lbs. We love this horse. He is everything that Dickens is and more! 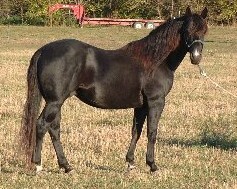 Here is a stallion that has a lot of "Whoa" and "GO!" and all in a pretty package that is great to handle and train.